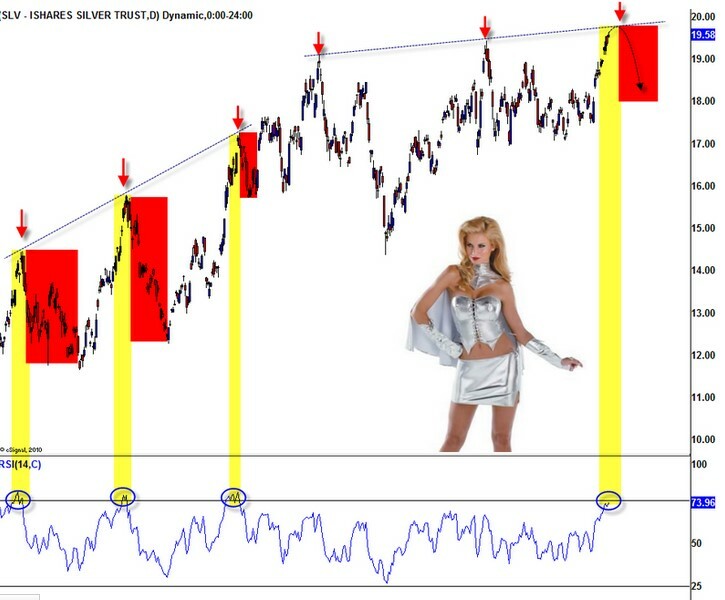 Silver is now clearly overbought with RSI readings around 75. As you can notice in the previous instances, SLV has produced a pullback. The stochastics also show sign of rolling over. I’ve added two blue resistance lines on SLV to show you that on a technical basis, SLV will probably form a third peak imminently. I think SLV is a great short near $20 with downside down to $18 in the intermediate term.